Our designers have created a light weight, foldable, solar/electrical package that can be easily transported or stored. 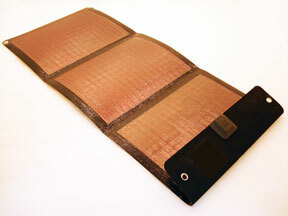 The solar cells are sealed in a flexible outer shell that allows the panels to be neatly folded and stowed. It is easily deployed, and requires no tools. It comes with a standard built in USB port. 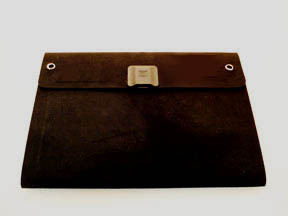 It is reasonably priced and delivery can be made by USPS, UPS, or FEDEX. The product is suitable for travelers, campers, surveyors, military, coast guard, homeland security and other personnel who have need to off grid electrical power to charge or use portable devices such as phones, sensors, computers, beacons, radios and the like. For custom designs please API-SOLAR with your requirements at the above address. Oper.Temp: -25 to + 65 deg C.